Physical characteristics: The gray antbird is a small bird of about 6 inches (16 centimeters) with a rather long tail. It is dark gray with a white band at the tip of the tail. Venezuela, parts of Colombia and Ecuador, eastern Peru and northern Bolivia. They are most abundant in the Amazon River basin of Brazil. 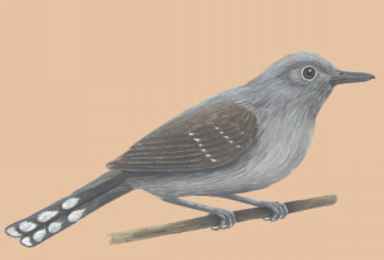 Habitat: Gray antbirds live in the forest canopy in dense rainforests and on heavily forested mountain slopes below an elevation of 2,300 feet (700 meters). Diet: Gray antbirds eat insects and insect-like bugs. Behavior and reproduction: Gray antbirds form pairs that stay together, although they sometimes hunt for food in a group with birds of other species. Little is known about their nesting habits. Gray antbirds and people: Gray antbirds are of interest mainly to birdwatchers and ecotourists. Gleyzer, Artem, Seth Weith-Glushko, and Abhiram Vijay. "Project:Antbird." Academy for the Advancement of Science and Technology and The National Zoo. http://www.bergen.org/Smithsonian/Antbirds/homeantb. htm (accessed on April 24, 2004). Robertson, Don. 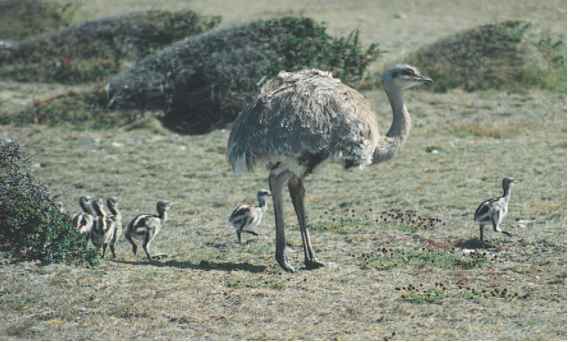 "Bird Families of the World." [email protected] Bay. http://www.montereybay.com/creagrus/index.html (accessed on April 27, 2004).